PHP Error can also be defined as “a deviation from accuracy or correctness”. A “mistake” is an error caused by a fault: the fault being misjudgment, carelessness or forgetfulness. An error message with the filename, Like number and a message describing the error, is sent to be the browser. The harmless problem, non-critical errors that PHP encounters while executing a script. In the notice error execution of the script does not stop. 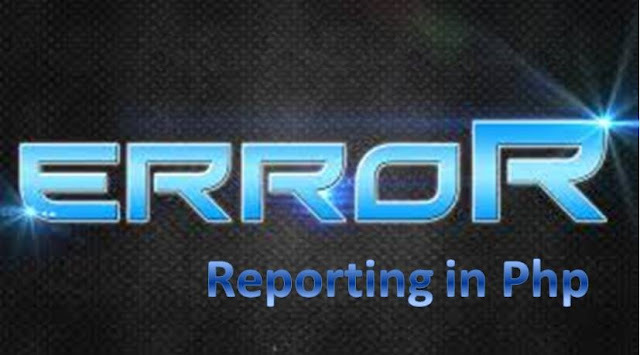 Indicate that something clearly wrong has happened and that action should be taken. e.g. file not present, database not available, missing function arguments, etc. Something so terrible has happened during the execution of your script that further processing simply cannot continue. • e.g. parsing error, calling an undefined function, require() when the file does not exist etc. •Generally, how PHP handles errors is defined by various constants in the installation (php.ini). •There are several things you can control in your scripts, however. This function can be used to control which errors are displayed, and which are simply ignored. The effect only lasts for the duration of the execution of your script. Hiding errors is NOT a solution to a problem. •It is useful, however, to hide any errors produced on a live server. The special @ operator can be used to suppress function errors. Error suppression is NOT a solution to a problem. •It can be useful to locally define your own error handling mechanisms. •If you suppress any errors, you must check for them yourself elsewhere. You can write your own function to handle PHP errors in any way you want. You simply need to write a function with appropriate inputs, then register it in your script as the error handler. defined, instead of sending them to the default handler. When these errors are triggered, PHP's built-in handler will automatically wake up to handle them. 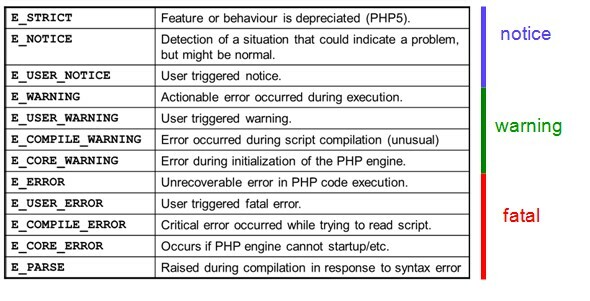 •Various different error types exist in PHP.